Ecigexpress is an online and offline retailer of DIY products, e-liquid, and other vaping supplies. Before you make a purchase at ecigexpress.com make sure you read our pick for best products and use one of the coupon codes listed below. Find money saving discount coupons that can save you anywhere from 10% to 50% off retail prices. Save 10% off your purchase at EcigExpress using the code! 1. Reveal coupon code above and copy it for use later. 3. When first visiting Ecig Express, we highly recommend creating an account. This allows you to save different addresses, and even keep track of all of your orders. Having an account will make the checkout process much faster and easier overall when placing future orders. 4. Once you get to their website, shop hundreds, if not thousands of different products. They have a wide selection of flavorings, VG, PG, bottles, nicotine and even one shot concentrates. 5. Tip - If you’re a beginner and now starting to mix e-liquid, we recommend checking out their DIY quick start kit. One shot concentrates are also an excellent option and also makes the mixing process that much easier. 6. Now that you have added everything you want, click on the shopping cart icon located on the top right corner of any page. Once you click this icon, it will show you the cart and all the items within and two options. We suggest clicking on "view full cart" first. 7. Once you get to your cart, we recommend to double check everything that is there. You want to make sure you have everything you want in your cart before checking out and make any final changes you may need to make. 8. When you are finished checking the items in your cart, click on “checkout” to continue. 9. Now you are on the actual checkout page. On the right side, you will see "discount code" and "apply" to the right side of the text box. Paste in the coupon code you copied earlier and click on "apply" and the discount will apply to your cart! 10. EcigExpress does offer free shipping on US orders over $59.99. We highly recommend taking advantage and get free shipping as shipping can be quite costly for these types of products. You can easily save up to $20 or even $30 on shipping charges alone. Ecig Express has been serving the vaping community since 2009. They do sell e-cigarettes, e-liquid, and other vaping supplies through an online store and through three retail outlets located in Washington state. They offer a huge selection of supplies such as bottles, syringes, nicotine, flavoring, one shots, DIY kits, VG, PG and more! They sell everything you need to make your own e-liquid. Not only do they sell nicotine e-liquid, multiple brands of flavoring, and PG/VG base but they even offer customers access to an e-liquid calculator and cookbook to help them get started. 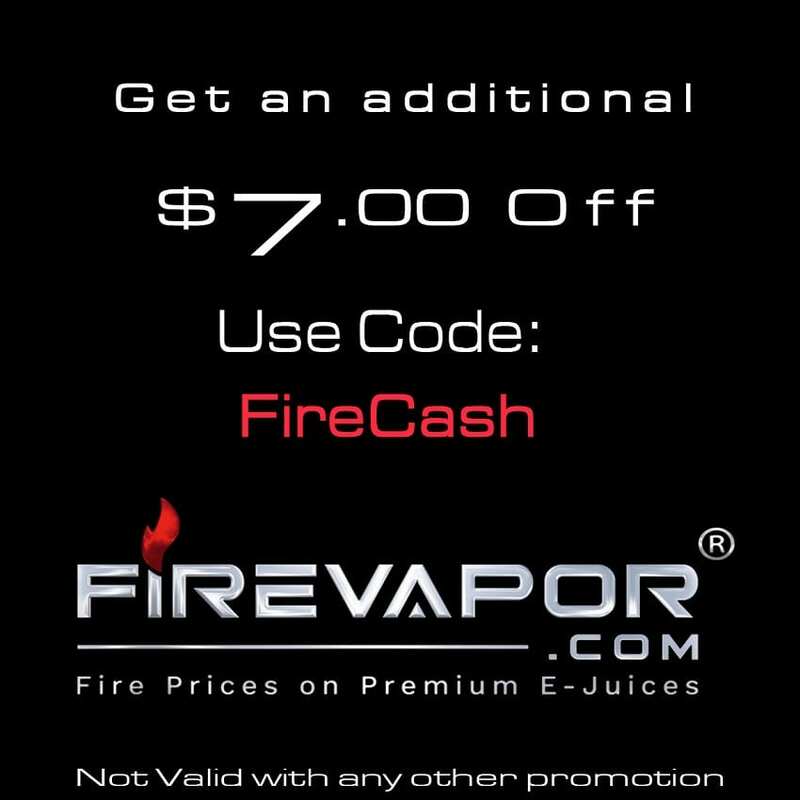 For you vapers looking for the most cost effective solution for e-liquid, this is the place you want to shop at. While it’s true that EcigExpress carries a wide range of products catered mostly to vapers interested in DIY, there are certain products that stand out the most in regards to value and taste. Here are our personal favorites from EcigExpress. The first top product from EcigExpress is their DIY Quick Starter Kit in 3mg. This kit basically comes with everything you need to make your own e-liquid aside from flavoring. It comes with bottles and caps, syringes, tips, one 10ml bottle of sweetener and a 120ml bottle of 70VG/30PG base in 3mg nicotine strength. It’s recommended to pick up a sampler kit or even a few one shot concentrates to go along with this kit, and best of all you can get literally everything including this kit and some flavoring or one shots for about $20. This kit offers tremendous value and definitely recommended for the beginner wanting to get into the world of mixing. The next product is Bronuts by DIYorDIE. This is a one shot concentrate, so you’ll need some supplies before you can mix this liquid. However, this is by far one of our favorites from EcigExpress when it comes to value and flavor. Bronuts is described as a simple yet extremely authentic chocolate glazed doughnut topped with a light sprinkle and this is exactly what it tastes like. It’s nice and sweet, but not overly sweet where you’ll grow tired of it. Since it is a one shot, you can mix it to your preferred nicotine strength and blend, but it is recommended to be mixed at 9.5% and a blend of 70VG/30PG. It is also recommended to let it steep for at least a few days, but we do enjoy it fresh with zero steeping time. The last product to be mentioned as a top product at EcigExpress is more of a brand, and that is Capella. Whether you’re new to mixing or an experienced mixer, Capella is definitely a brand to check out while shopping here. In our opinion, they offer some of the best flavors for your buck and some are even offered in sizes up to 4oz, allowing you to stock up on some of your favorites. EcigExpress carries a huge selection of Capella flavorings, so no matter what you’re looking for they’ve got you covered. Some of our favorites are Vanilla Custard, Sugar Cookie, Vanilla Bean Ice Cream, New York Cheesecake and Sweet Strawberry. If you’re still looking for other products and coupons, then some of these other similar brands might have what you are looking for. MyFreedomSmokes is another online retailer who also offers a great selection of supplies for mixing, but they have much more than just that. They have a wide selection of vape starter kits, atomizers, mods, pod systems, premium e-liquid and more that you can shop from. So if you’re looking for a shop that has more products available then this is one to check out for sure. Our code will save you 10% off your entire purchase. Another great online retailer is Breazy. For you vapers looking for a huge selection of e-juice that’s ready to vape, then look no further. They have over 1,400 different e-liquid brands to shop from, making them one of the largest retailers of e-juice. Not only this, but they do stock a ton of new vape hardware from various popular manufacturers and offer weekly sales, giving you even more savings. Our exclusive discount will save you 10% off anything with free shipping on US orders over $50. Last, but not least is The Vape Mall. Like the other brand mentioned and EcigExpress, they do have a great selection of DIY. In addition, they have tons of cheap flavors available with pricing starting as low as only $2.49 for quality USA made e-juice. What’s even better is that they have a flat rate shipping of only $2.99 and free shipping on orders over $65, so no matter what you’re not paying an arm and a leg to get your order shipped to you. Our exclusive code will save you 10% off anything. Are there any other Ecig Express Coupons available? We keep this page updated with the latest discount codes available and sometimes will update this page with multiple codes, so be sure to check back often! Does EcigExpress Offer Free Shipping? Yes, they do offer free shipping on orders over $59.99 in the Continental USA. International shipping is available. To check which countries they ship to, simply click on "International Shipping" at the bottom of any page on the EcigExpress website. There are multiple ways to contact them. You can submit a ticket, chat with them on their website (between select hours) or call them with the phone number provided on their web page. Yes. Once you place an order, you will receive a confirmation email. After your order has shipped, you will receive another order notifying you that your order has shipped alongside the tracking number. You can also log into your EcigExpress account to check the order status.